He made his stage debut in 1921 in The Merchant of Venice. After performing with a number of repertory companies, he was featured with the Old Vic and the Sadler's Wells Theatre companies from 1930 to 1932. The following year he appeared in his first (of 68) motion picture, The Ghoul. During World War II he served in the Royal Navy Volunteer Reserve. 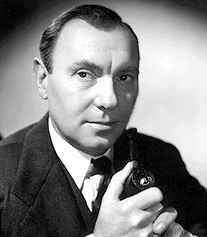 Richardson is best known for his stage roles in Peer Gynt (1944), Waltz of the Toreadors (1957), and the 1962 revival of School for Scandal by Richard Brinsley Sheridan. His many motion pictures include The Fallen Idol (1948), Anna Karenina (1948), Richard III (1956), Our Man in Havana (1959), Long Day's Journey into Night (1962), and Doctor Zhivago (1965). He was knighted in 1951. His final film was Greystoke, the Legend of Tarzan, Lord of the Apes (released 1984). The 1999 Royal Mail Millennium Stamp Collection honours Gloucestershire vaccination pioneer Dr Edward Jenner. Jenner applied the first vaccine by using cowpox to immunize James Phipps, an eight-year-old boy, against smallpox. 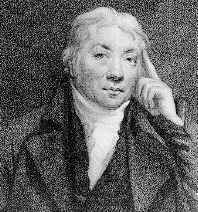 Because the Royal Society would not acknowledge his achievement, Jenner published the treatise himself and titled it "An Inquiry into Cause and Effects of the Variolae Vaccinae, a Disease Discovered in Some of the Western Countries of England, Particularly Gloucestershire, and Known by the Name of Cow Pox (1798)." 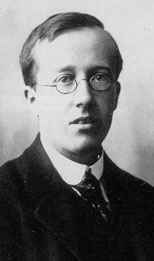 "Gustav Holst was born on September 21st 1874 in Cheltenham. His ancestors were Russian immigrants from Riga. His father Adolph was an accomplished pianist who practised all hours to the neglect of his wife and children. His mother's Spanish great, great grandmother had been an actress who was carried off to Ireland by an Irish peer. Holst's mother was sweet, gentle and unassuming but she was not strong. She died when Gustav was only 8. Adolph's sister, Nina, was brought in to look after the children but was equally distracted by the piano. She had strewn rose petals in the path of Liszt when she was young." You can make enquires via The Art Gallery & Museum in Clarence Street. Contacts are Virginia Adsett or Faye Little on Tel: . Fax: . Anna Stanway, the Information Officer can be contacted by clicking email. It is well worth a visit and Anna reported that there have been 8000 visitors in the last year. Also, you can contact Cheltenham Tourist Information web site or email them. Just click the links. This is an extract from a very informative Gustav Holst internet site by Kenric Taylor which is well worth a visit. Joanna Trollope - local author. Joanna Trollope was born in 1943. She taught for twelve years and worked for the Foreign Office before becoming a full-time writer. she is best known as the bestselling author of eagerly awaited and sparklingly readable novels often centred around the domestic dramas of life in contemporary England. 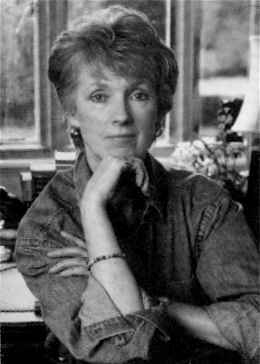 She is also the author of a number of historical novels and of Britannia’s Daughters, a study of women in the British Empire. Visit the Joanne Trollope website. 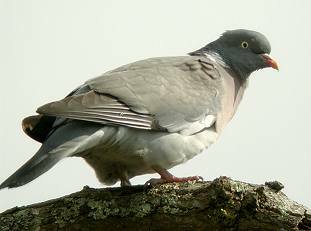 If it was not for the common pigeon (or so the story goes) Cheltenham would not be the thriving cosmopolitan town it is today. According to legend, in 1716 a flock of pigeons discovered a spring on the site of what is now the Ladies College. The locals, noticing that the pigeons seemed to thrive, tried the waters for themselves and found that they eased many of the disorders that afflicted 18th century man. Soon, the rich and famous, including royalty came to Cheltenham to take 'the cure'. Today, the importance of the humble pigeon is recognised by its inclusion in the town's crest and the descendants of those 18th century birds can be found begging crumbs from people throughout the town. 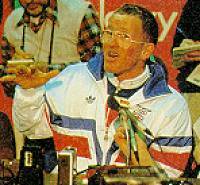 In 1988 Switzerland's Pirmin Zurbriggen became the new Olympic men's downhill ski champion. However, for many people, this was just a side-show to the main event. A 24 year-old plasterer from Cheltenham - Eddie Edwards - came last (by 20 meters) in the 70 meter ski jump. Millions of viewers all over the world watched with their hearts in their mouths as Eddie 'The Eagle' launched himself into space. Whether it was relief that he survived at all or admiration of courage bordering on lunacy, the cheers when Eddie landed were greater than those for many winners.